A. Product and equipment selection. Our deep knowledge of specific brands, their features, performance, function and diversity of treatments, can lead to a carefully thought out advise of the best solution for the center. We can advice which brand to choose when it comes to skin fillers, cosmetic lines, preparations, equipment and accessories. B. 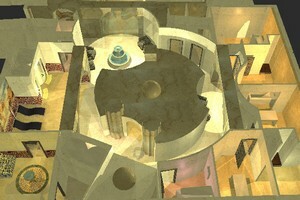 Management and marketing of the center. We can create a detailed marketing strategy and action plan, broken down to the daily activities of the center. We go to such details as advertising campaign, sales promotion, designing of brochures and stationery. We can develop treatment program, pricing structure, ergonomics and logistics of the center. We touch such important issues as personnel selection and evaluation. Beauty center that has excellent, classy service with competitive advantage. We train personnel, how to treat customers with an emphasis to the smallest details. They have a chance to learn how to carry a good telephone or face to face conversation with a customer. They can also learn problem solving techniques. All our workshops and training sessions are based on value for the customer. Customer always comes first. 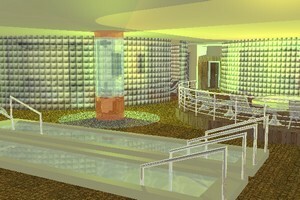 D. Designing of SPA clinic. We have experts that combine three areas of knowledge: aesthetic medicine, architecture and interior designing. 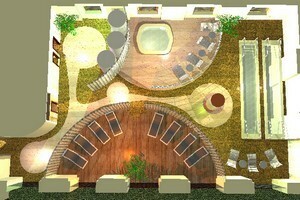 They can design a clinic or SPA center that is under construction or even an existing clinic. They take a special consideration with treatment logistics, ergonomics and decoration. 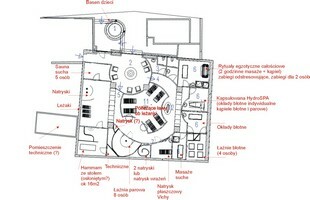 A final architectural plan is supported with detailed description of each room including all fixtures, installations, materials, electric and plumbing, coloring, equipment, furniture and artifacts.